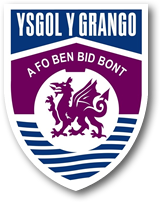 There are a number of possible routes for studying science at Ysgol Y Grango, making science accessible for all pupils whatever their end of key Stage 3 Level, with the opportunity for all pupils to attain a minimum of a GCSE grade C or equivalent. All pupils study core science and are placed into sets 1-4, pupils can also choose separate sciences for their vocational option. All pupils complete a GCSE/Level 2 qualification during year 10. There is only a limited opportunity for resitting these examination units. Attendance is therefore crucial in pupils are to achieve their best. Controlled assessments are completed throughout the year, in highly controlled conditions. Pupils will be notified in advance and, again, attendance is critical for these sessions. Following a GCSE Science course should encourage learners to be inspired, motivated and challenged by following a broad, coherent, practical, satisfying and worthwhile course of study. It should provide insight into, and experience of how, science works, stimulating learners' curiosity and encouraging them to engage with science in their everyday lives and to make informed choices about further study and about career choices. Pupils can opt for an extra GCSE in Science within the vocational option. Developing and extending the skills, knowledge and understanding acquired in their core science (Science A/Additional Science) lessons. The additional unit in Biology/Chemistry/Physics includes the Biology topics of; Plants, Water and Nutrients, Blood and Circulation, Nervous System, Role of the Kidney in Homeostasis, Microorganisms and Disease and Microorganisms and their Applications. The Chemistry topics of; Additional Organic Chemistry, Reversible Reactions, Industrial Processes and important Chemicals, Titration and Mole Calculations, Limestone and Chemical Analysis. And the Physics topics of; Electromagnetism, the Properties of Waves and their uses in investigating the Structure of the Earth, Motion, Kinetic Theory and the Origin of the Chemical Elements. During year 11 pupils will also be required to complete a Controlled Assessment task in each subject area, involving Introductory Experimental work, Investigatory Planning and Research, with a consequent Review and Analysis and finally producing a detailed report of their work. Providing an invaluable experience for pupils in a range of skills required for further study in Science or a possible future Science related career.